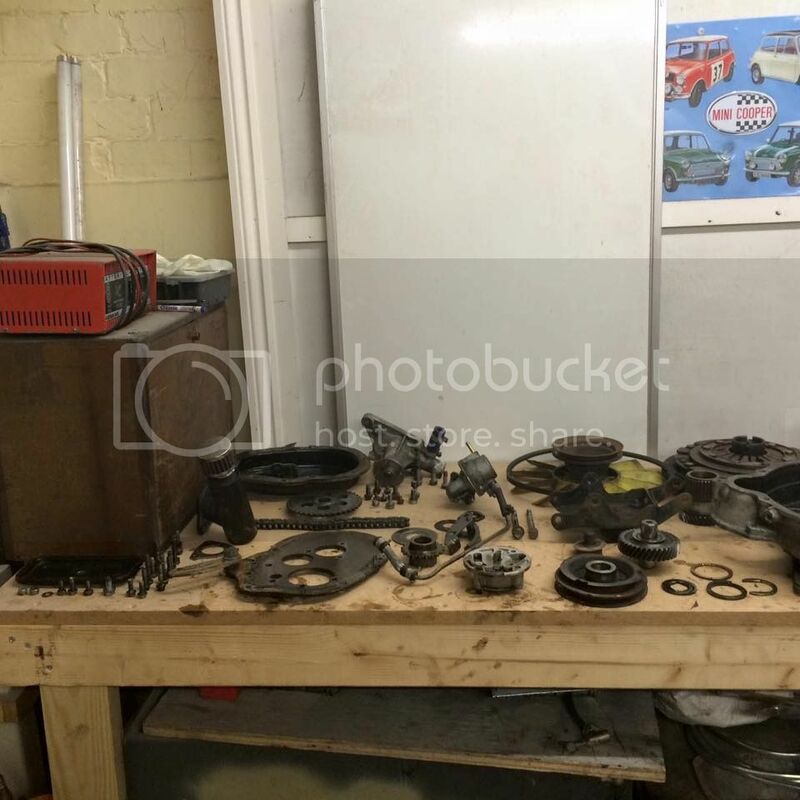 I have been able to steal some work space in my friends work shop to help remove a broken engine from a Mini 25 and strip down and rebuild. 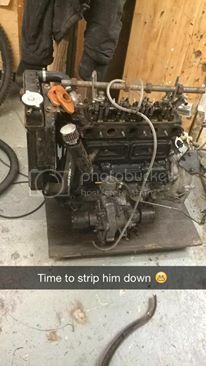 The engine would require a full rebuild therefore I have been able to steal it to help improve my knowledge. 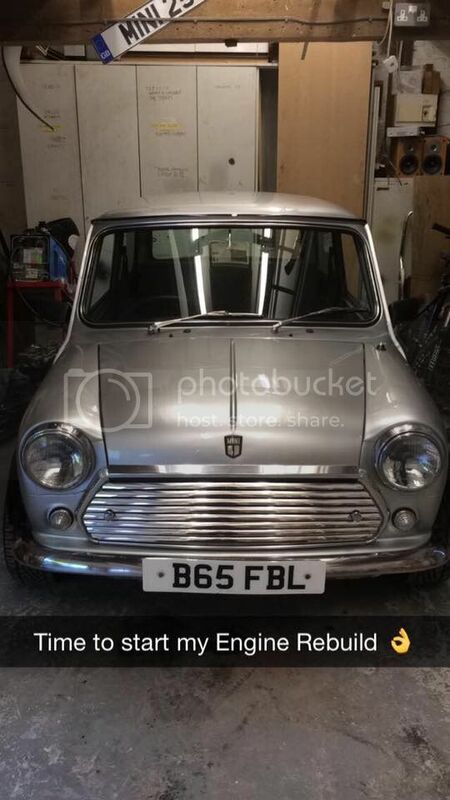 Don't worry, The Mini 25 will be getting a new engine and the gearbox will be taken and re-used. 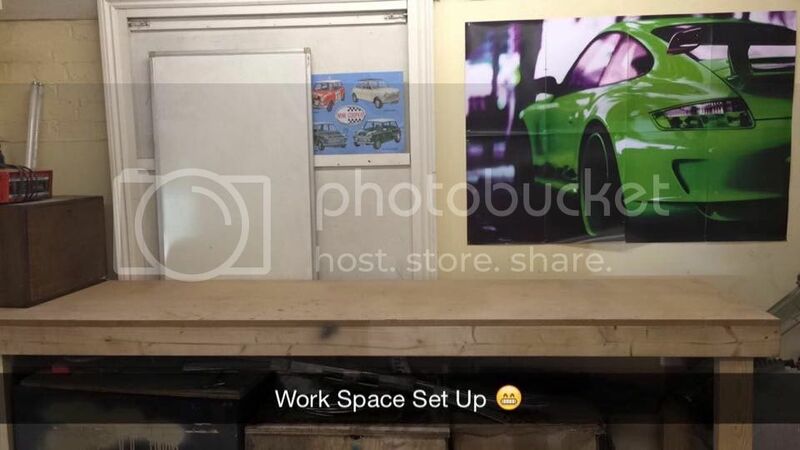 The car was placed in the correct position within the workshop to allow access to the whole car with reasonable movement and adequate space. 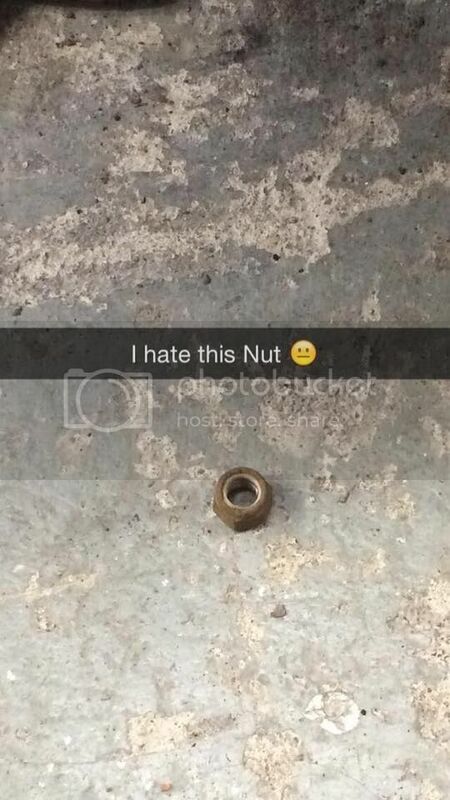 The wheel nuts on the front of the car were loosened before jacking the car up. A hydraulic jack was used and the axle stands were placed under the car to secure and chocks were used to secure the back wheels. The handbrake was also put on the ensure that the car was secure and safe to work on. 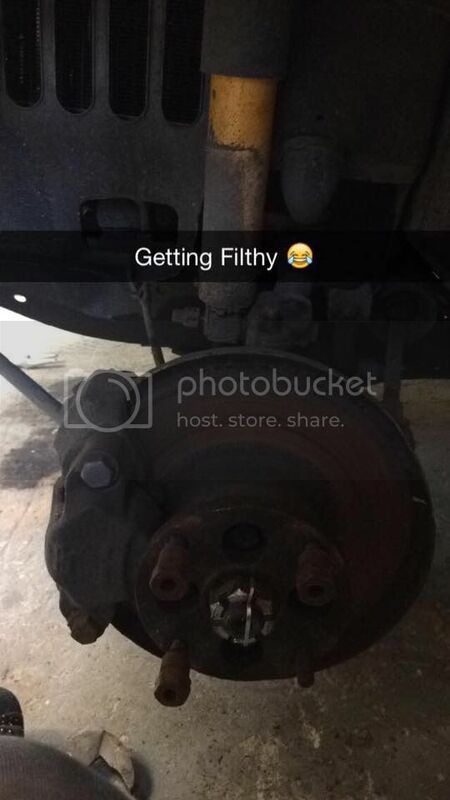 The wheel nuts were then undone and the two front wheels removed from the car. Using a ratchet with a 9/16 socket the brake calipers were removed and using a cable tie fastened to the tie rod to prevent damage. The ball joint retaining nuts were undone and using a ball joint splitter the ball joint tapers were broken, the shocker absorbers were removed, of which one nut was rusted and took me over 20 minutes to remove, as well as the removal of the assembly and drive shaft. The exhaust was then removed from the manifold by removing the exhaust mounts located on the back on the rear subframe. 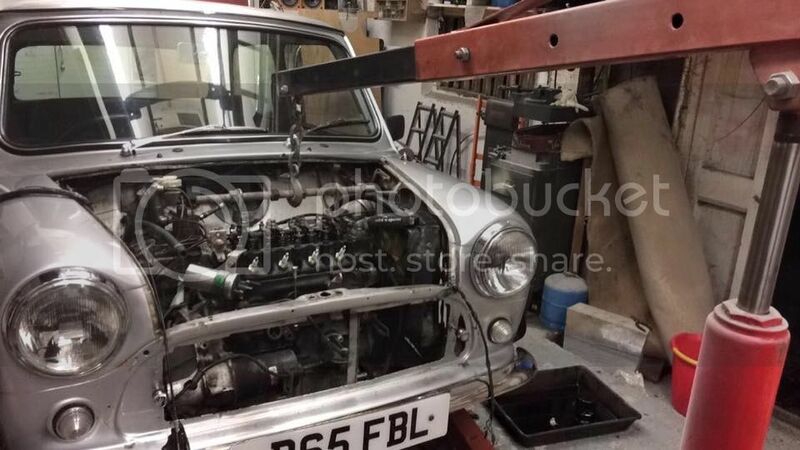 The inlet manifold and carburetor were then removed as well as the exhaust manifold. 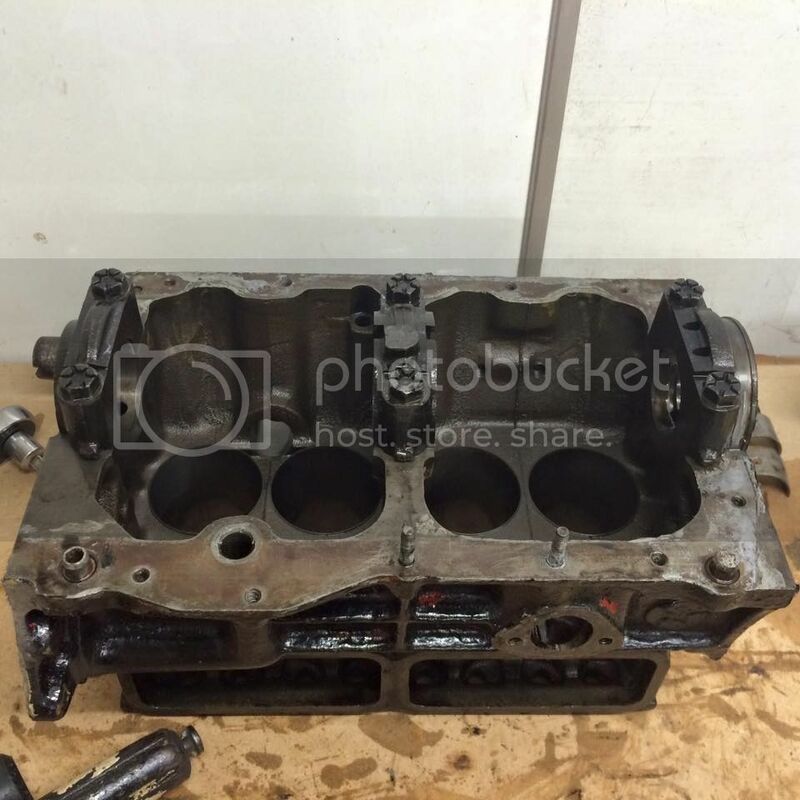 The block is damaged due to the head gasket blowing. 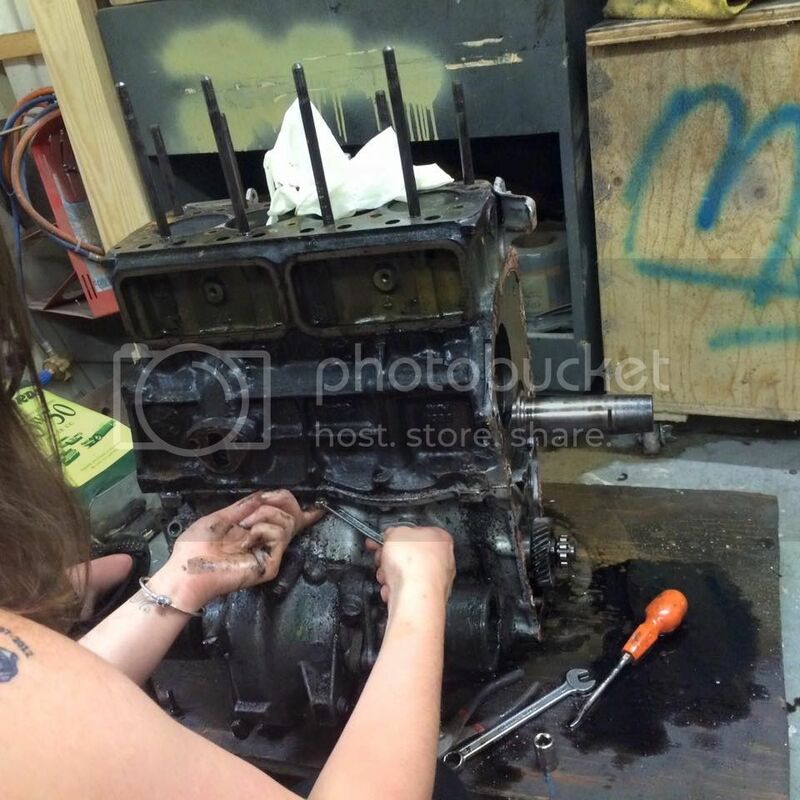 When we removed the rocker cover it revealed a substance on the cam shaft and cylinder head. 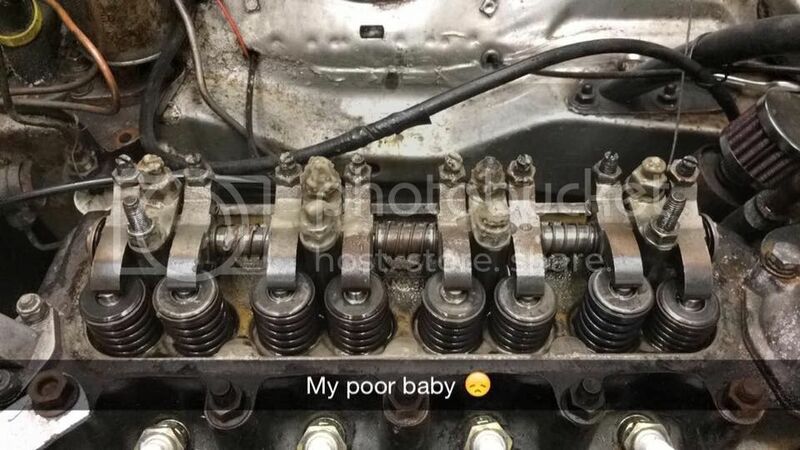 This was caused by the oil and water mixing when the head gasket blew. Finally we disconnected the fuel line and used a engine crane to remove the engine. Edited by Miss.S.L.Hope, 03 August 2016 - 11:58 PM. Or a tub of Manista. +1 on either gloves or the Manista. And the fact it's a 25. 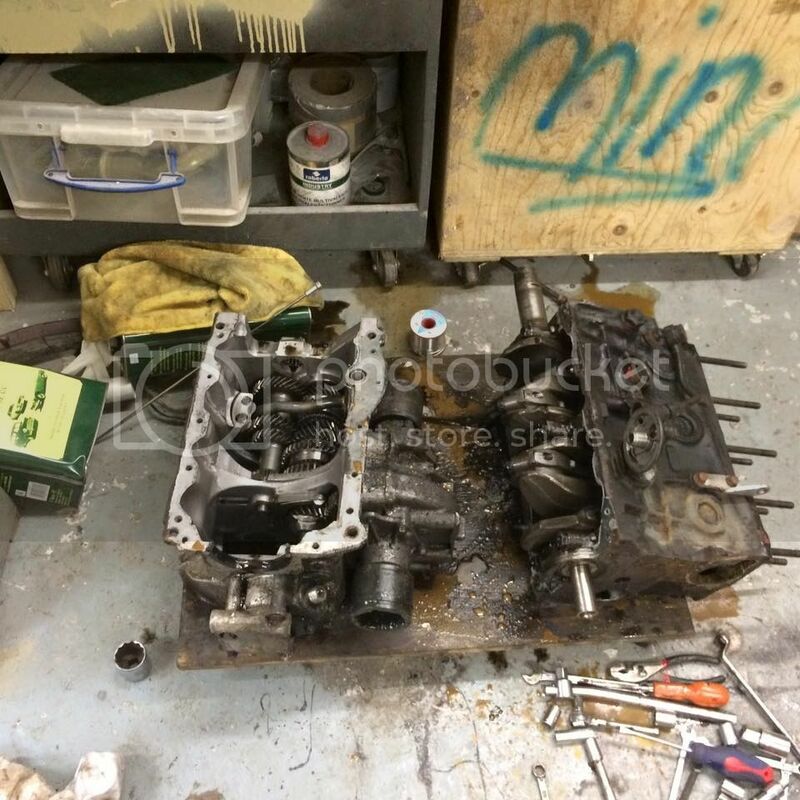 Mini 25 Engine Rebuild - Continued. 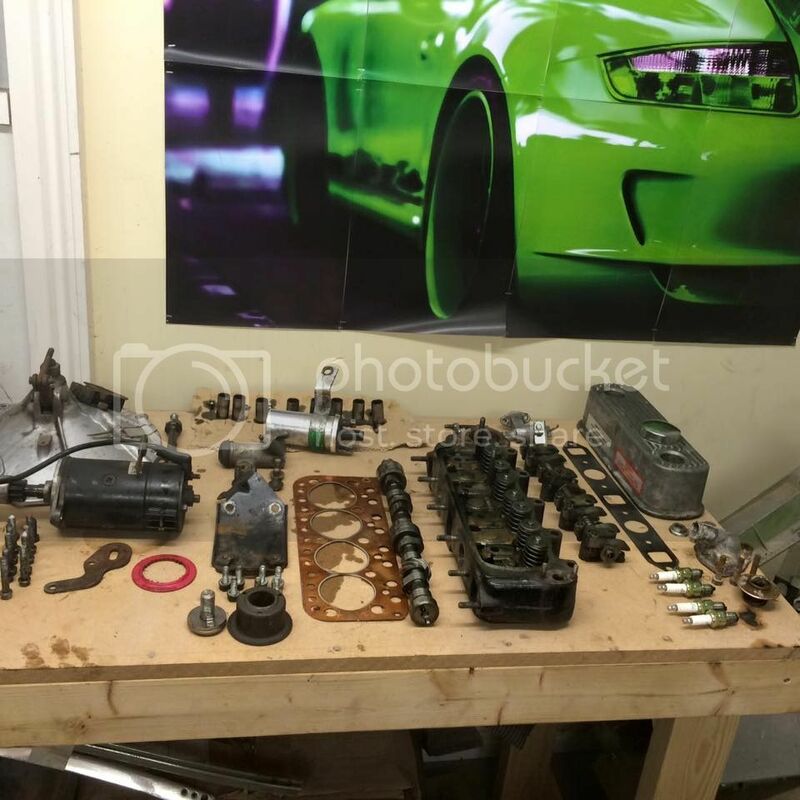 The engine has now been removed and will be strip down ready to take the required parts and clean up the original engine. 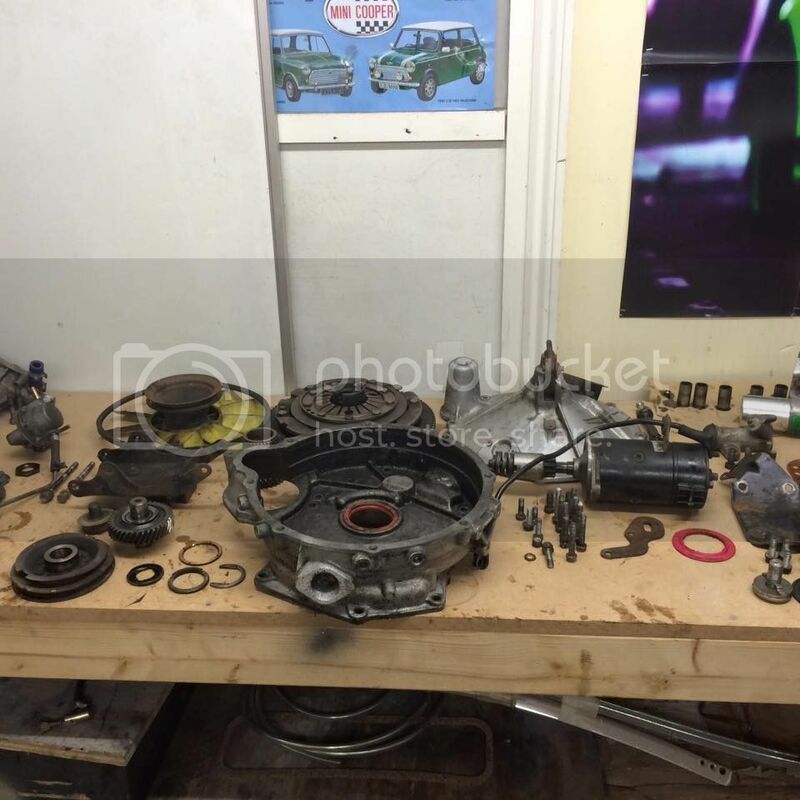 The Engine was removed from the Engine Crane and placed onto a Engine Trolley. 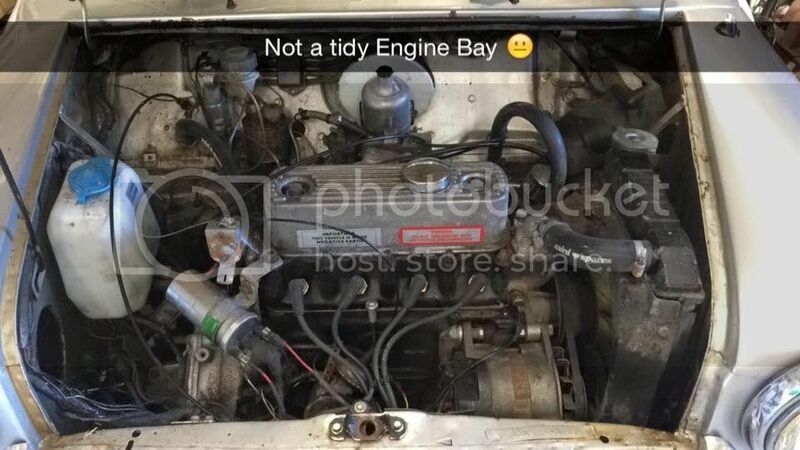 The Engine was then dismantled to allow the engine internals to be stripped. These were all laid out on the work bench I had been given to be photographed so I could label each part to help improve my knowledge. Short Block and the Gearbox. The Gearbox will be going back into the car and the shortblock will be stripped down. 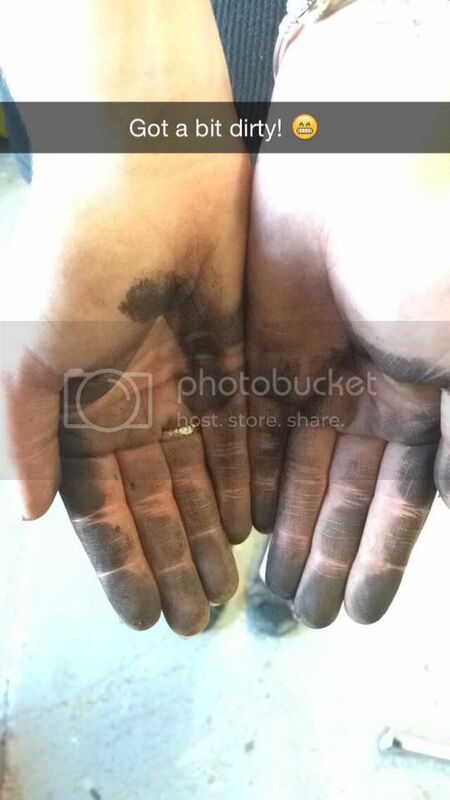 Also managed to take a photo of me getting filthy! 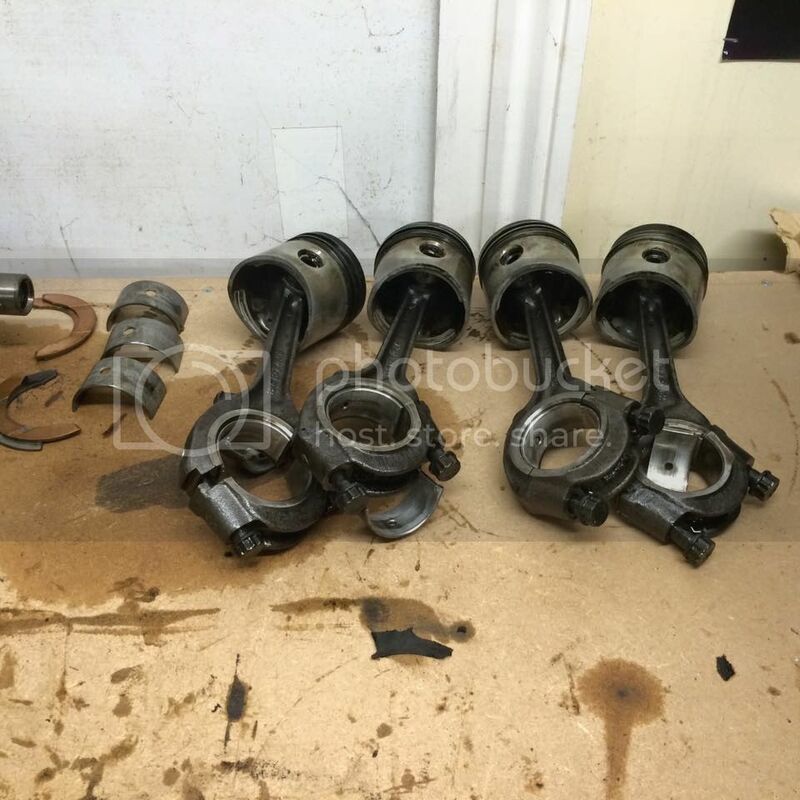 The pistons were removed as well as the crankshaft. 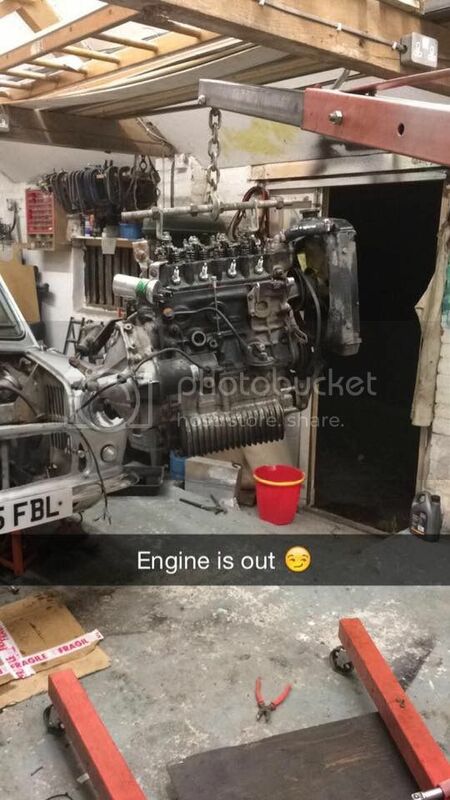 The engine is now ready to be cleaned and the replacement will be put in when we have a few more parts . Apologies this is a bit brief. I will go back and edit to add more detail at a later date! It is now the early hours of the morning and I'm exhausted! I will also add the documentation that I created that labelled all the parts. Edited by Miss.S.L.Hope, 04 August 2016 - 12:02 AM. Im keen on this..... A detailed step by step with pics :) Oh and good on you for getting your hands dirty...more people should try it!!!! Hah, this is about 10000% more organized than I am! Good luck, if you need any random 998 bits, i've got quite a lot off of an old 998 I stripped down. Pistons Numbered & Marked orientation of the caps . Pistons Numbered & Marked orientation of the caps . Probably be ok if your renewing the bearings, pistons & rings and reboring Ben. I might have just bought a VW Golf GTI 1.8 16V that needs a little work. So will be splitting my time between the two. 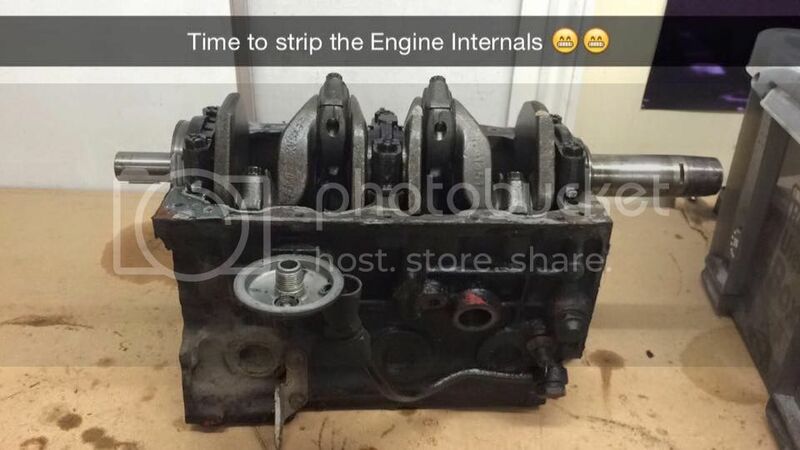 Will hopefully be cleaning up the engine tomorrow and starting to rebuild as well as doing some work on the Golf.  Will keep you updated .